1. Stir cream cheese until smooth. Mix in salad dressing, Frank's Redhot Sauce and cheese. Stir in chicken. 2. Place mixture into a slow cooker. Cover pot. Heat on HIGH setting for 1 1/2 hours until hot and bubbly. This can also be cooked on LOW setting for 2 1/2 to 3 hours. 3. 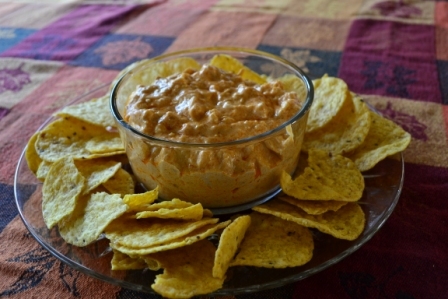 Great served with Tortilla chips or celery. P.S. You can use shredded cooked chicken.